Darren Barley of Wolverhampton to open Mr. Electric in the area. His ambition of starting his own business are finally coming true so that he can not only provide a world-class service to his customers, but also the highest quality of work that really sets him and his business up for success within the electrical service industry. 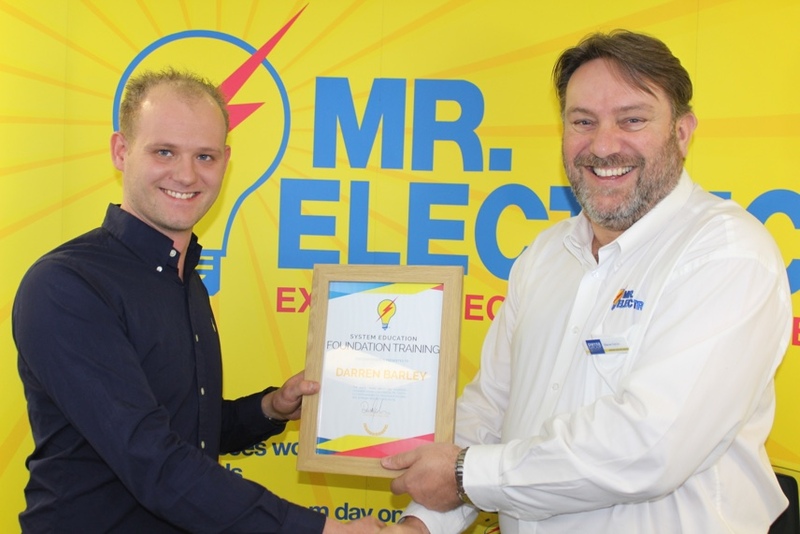 After nearly ten years of working for other companies, local electrician Darren Barley is finally fulfilling his dream of becoming his own boss and starting his own business. Ever since his school work experience, Darren has wanted to become an electrician. He completed this experience with an electrical company, shadowing other electricians and really getting to know the trade, and took an interest in the work they did. After leaving school and getting a different job, Darren couldn’t put electrics behind him and went to night school to become a qualified electrician. Since becoming qualified nearly ten years ago, he has worked for two large electrical companies and has enjoyed working as an electrician and helping his customers. However, he has always wanted to work for himself and be his own boss, so decided to take the chance and invest in a Mr. Electric franchise. He hopes that with the help of an already established brand he will have better success and really hit the ground running with his business. In his previous electrical occupations, he has mainly worked with domestic and social housing, so will focus on this at first to get himself started. However, he wants to quickly expand and is keen to explore a wider variety of work such as larger commercial as well as still working closely with domestic work. Darren has big ambitions and is aiming to bring on a second technician within six months. He hopes that this will all be achievable with the help of the franchise support team and the Mr. Electric network guiding him and his new business towards success. He even has ambitions that one day that Mr. Electric Wolverhampton will become a family business and that his son will follow in his footsteps once he is old enough. Darren became a successful electrician not only because of his skills within the trade but also for truly looking after and caring for his customers – the kind of electrician people want to attend a call-out or an appointment. So, if you are looking for an electrician that will not only provide top-quality workmanship but will also treat you and your home with the respect it deserves, give Mr. Electric Wolverhampton a call on 01902 290 599!